The waterfalls weren’t there an hour ago. 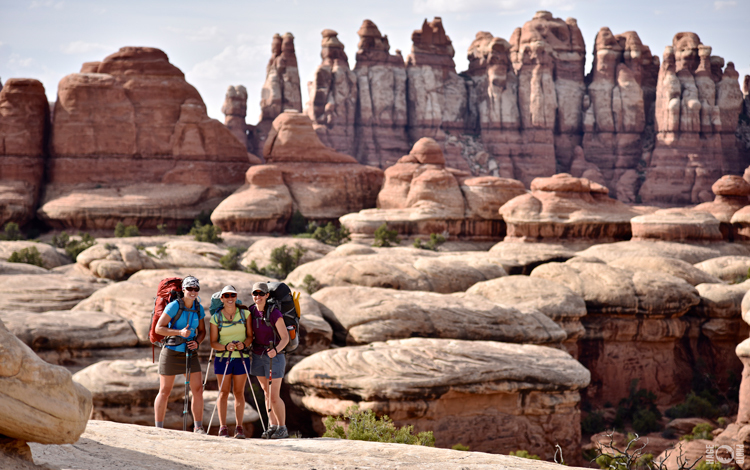 Earlier this morning we had awaken from our bivouac under the towering sandstone walls of The Maze, a remote labyrinth of deep canyons in Utah’s Canyonlands National Park. We’d noticed a drop in the temperature and the thick cloud cover building overhead. Breakfast was quick; it was time to get moving. Not just because of the impending storm, but we were at the apex of our backcountry route and the very bottom of these canyons. Out goal for the day was to traverse up and over into another canyon that would take us down to the Green River. Quite a few miles and a couple thousand feet of up, and down, was on the agenda. Then the storm hit with a loud, rushing wall of wind and several sharp cracks of thunder. The rain started coming down in sheets. 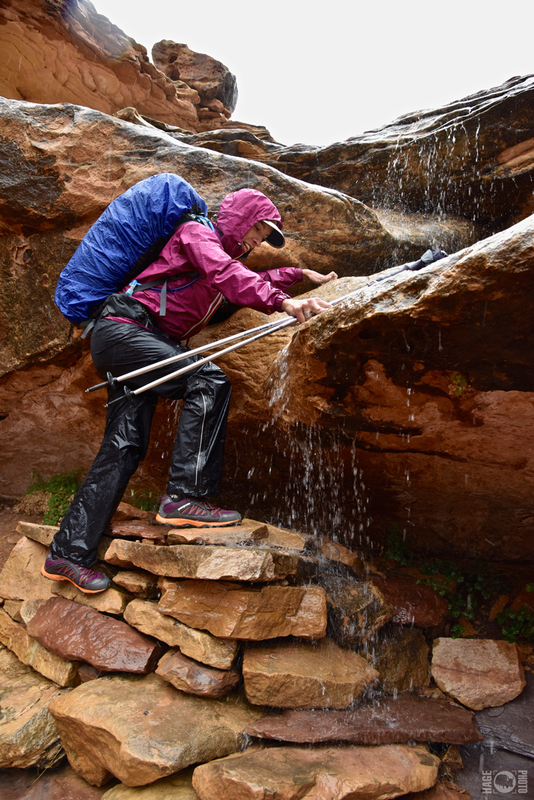 We took cover up against a sandstone wall so steep, it kept the rain at bay 20-feet out from us. For awhile anyway: water started to track down the wall and soak our once sheltered spot. Up until that point, we were more bewildered by what was happening around us. But genuine panic set in when a small stream pushed down the dry wash where we stood. 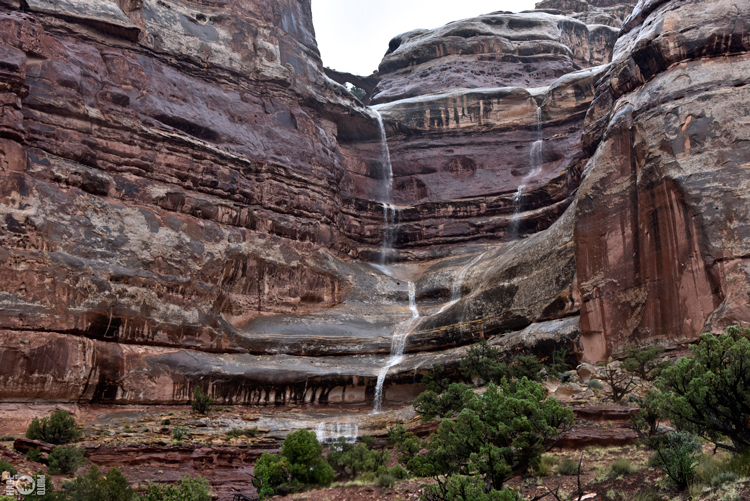 All around us, dozens of waterfalls poured down the thousand foot walls into the canyon. Unless we wanted to make the local news, it was time to leave this place. That was easier said than done as we were right in the middle of a week-long trek through The Maze. 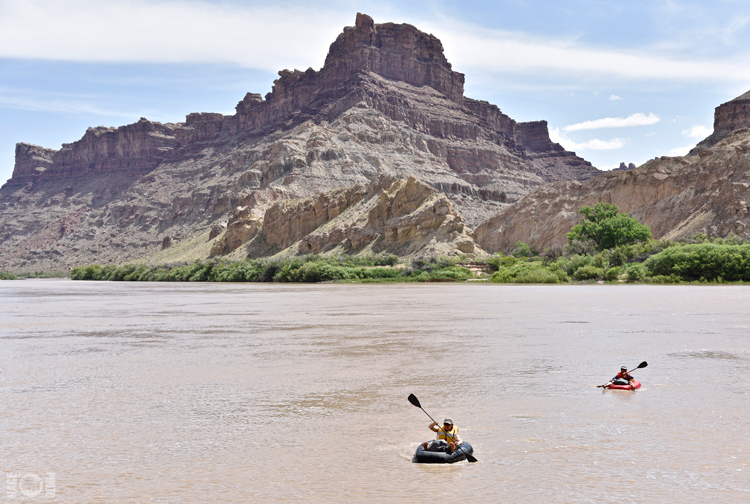 A few days ago, we had hiked down and crossed the Colorado River via packrafts at Spanish Bottom. 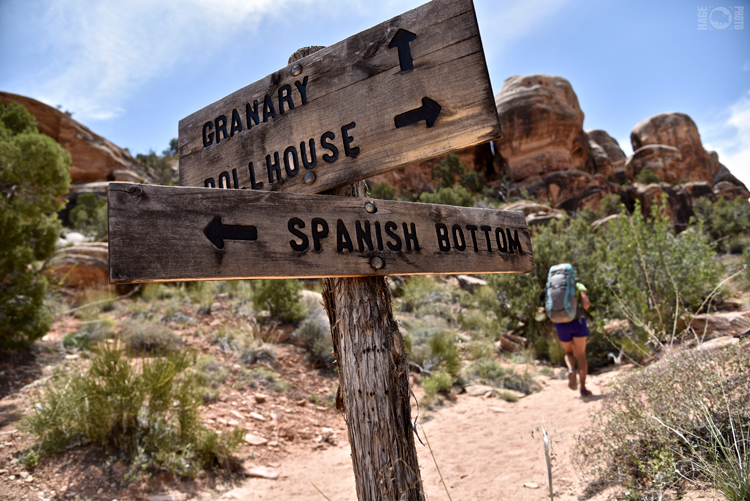 Yesterday we hiked up through the Doll House and through the Land of Standing Rocks to dive into the canyons beyond Chimney Rock. 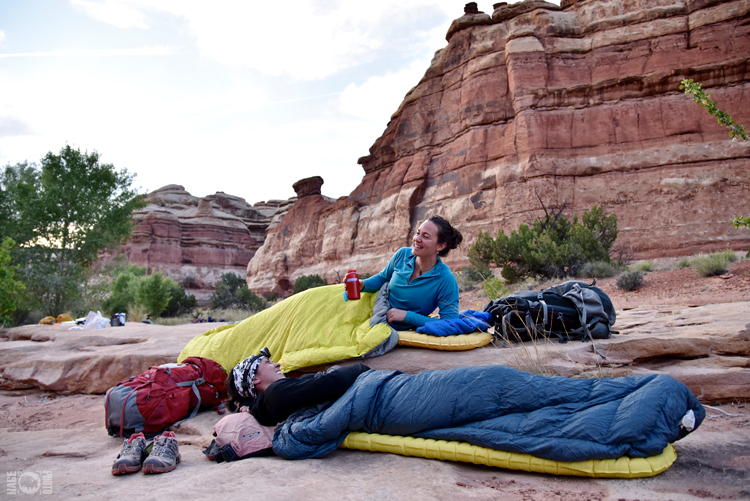 We tanked up at the only spring in the area and threw our Therm-a-Rest’s down on a slab of sandstone. Now while battling our way across rapidly swelling streams (make that creeks, no I mean rivers…), it’s hard to believe we spent last night out under the stars. By the time we escaped to higher ground, the impromptu waterways had reached waist level. We stood in awe of the maelstrom that had developed around us. Water cascaded down the canyon walls in hundreds of waterfalls. This presented another problem for us as we had to use many of those ‘pour overs’ to get topside. Lets just say everybody got a good washing on the way out. After a couple hours of wet and wild scrambling, we arrived back on top of the mesa at the improbable landmark that is Chimney Rock (can’t believe it didn’t was away in the rain!). 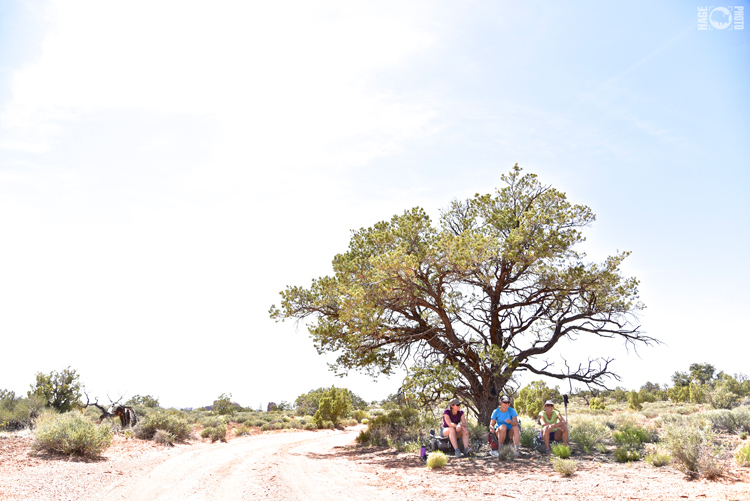 The four of us made the prudent decision to not descend down into the next canyon system as planned. We may have just cheated death, but there was a feeling that we were still only one bad decision from making the front page. Besides we still had to get back across the mighty Colorado. To do that, we all carried a packraft: a single person inflatable that rolls up small enough to fit in your backpack. The Colorado acts as a barrier to getting into this area and packrafts are the backcountry tools that really make trips like this possible. 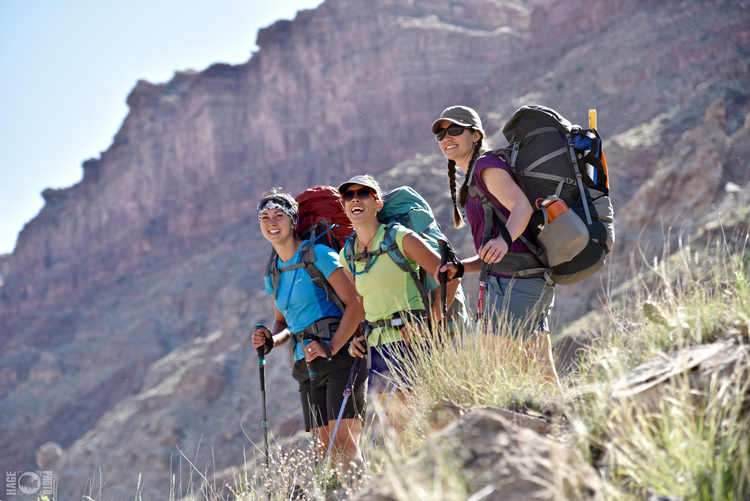 In our group of four we had two Alpacka Rafts and two tiny boats from Supai Adventure Gear. Alpaca rafts are the original packrafts, developed in Alaska for serious backcountry expeditions in big mountains and on wild rivers. We’ve packed them into some of the most remote corners of AK and safely paddled class four rivers into the Gulf of Alaska. 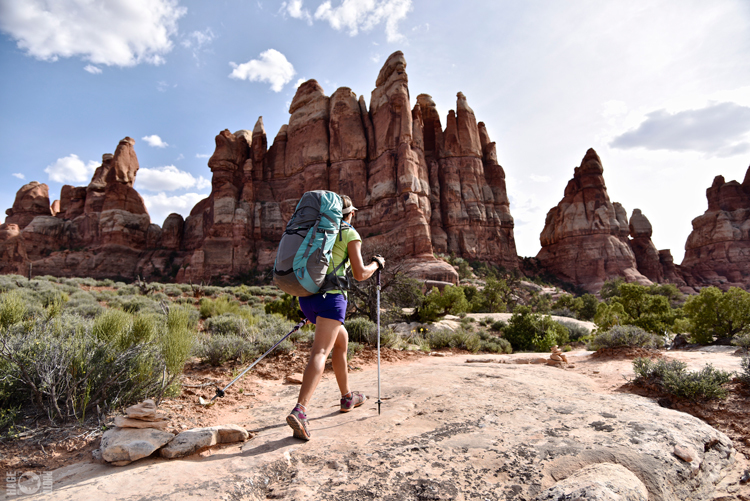 They’re extremely durable for how light they are (4.5 – 6 pounds depending on configuration) and handle like a whitewater kayak. The Supai boats are the definition of minimalist: they are just enough boat to get you and your pack across a river like the Colorado. Built by an adventurous couple in Arizona, Aaron and Shannon designed their packrafts primarily for accessing canyoneering goals. They are incredibly light at 1.5 pounds (just over two pounds with their carbon paddle) and roll up to the size of a water bottle. 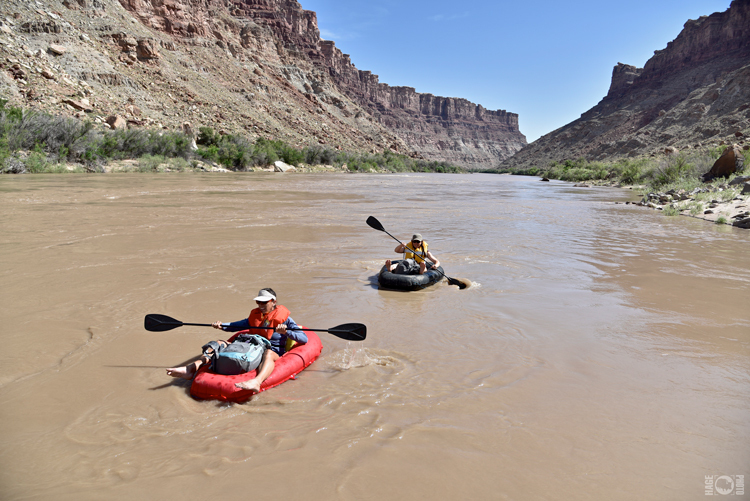 Needless to say, the Supai rafts are no frills and best used on flat water. They’re durable enough to handle some use, but you’ll want to step out of your boat before pulling out onto any beach. Since our route called for more packing than rafting, we thought we’d give them a try. Not surprisingly, they were perfect for this project. Especially once we had to bail on the plan to hike down and float out the Green River. We made it back to Spanish Bottom by early afternoon, quickly inflated our packrafts and set out to once again ferry the Colorado. This where our friends lugging the larger, heavier Alpacka Rafts and paddles got to cash in on their effort. Using standard sized kayaking paddles, they made short work of the crossing. We got across the in the Supai rafts, but there is a price to be paid for using a 12 ounce carbon fiber ‘spatula’ for a paddle. The storm found us again that night, camped down in a canyon. You could hear the wind approaching from a mile away, winding it’s way up the canyon. It literally slammed into our camp like a brick wall, flattening the tarp we had setup as a wind break. Thunder boomed in the distance, but we didn’t see any rain. 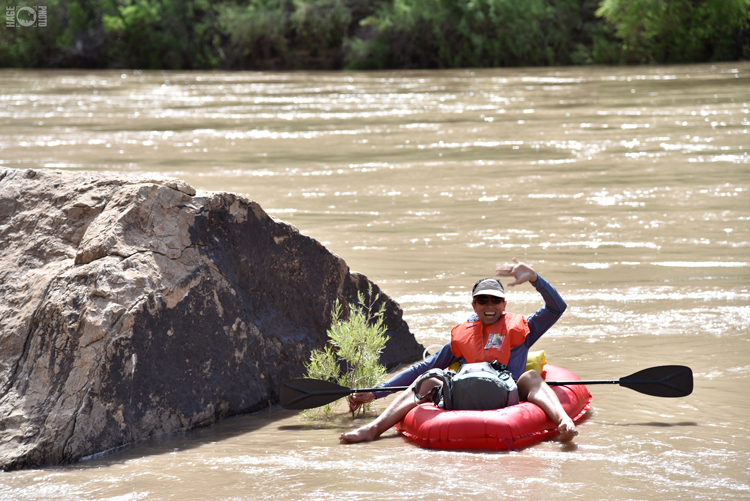 Jokes were made that we might have to again inflate our packrafts to float the inevitable flood back to Moab. 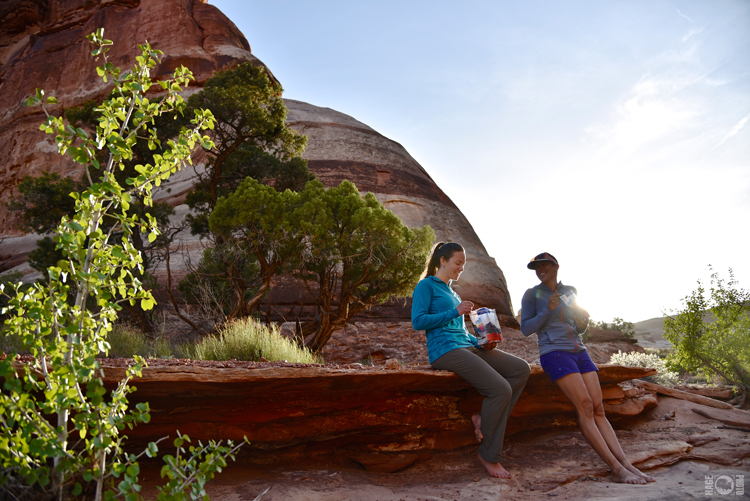 That might be the case, but we made a point of staking our bivouac on the highest ground we could find in the canyon. Nonetheless, we went to sleep that night half expecting to see waterfalls by morning.